With a little over a week and a half to spend in Orlando, I had the horrible dilemma of choosing between returning to my favorite restaurants in the city or scoping out new eats, which made each meal I ate out higher stakes than usual. 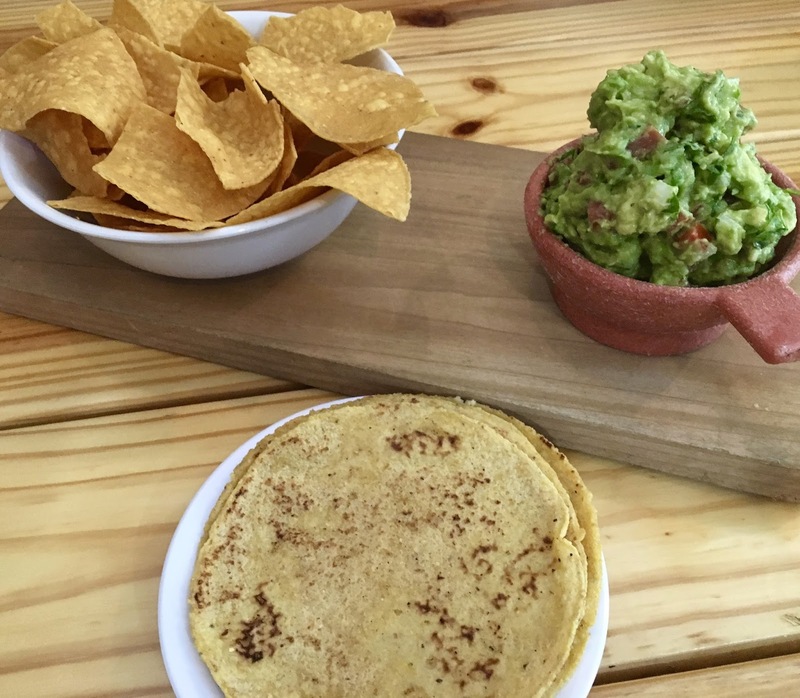 Topping the restaurants on my to-try list was Black Rooster Taqueria, a newcomer to the Mills district that promises contemporary tacos and an easy-to-navigate menu for gluten-free eaters. 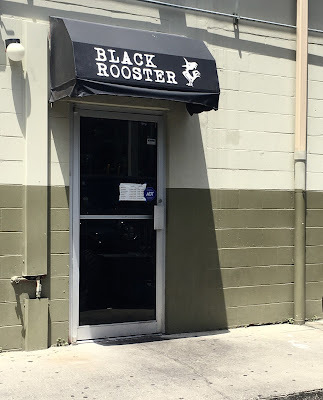 Although I have discovered many amazing gluten-free taco joints in my time as a blogger, Orlando is quite lacking in the quality taco joint department, and I had high hopes that Black Rooster Taqueria would fit the bill accordingly. Like the best taco places I have discovered, Black Rooster was founded with farm-to-taco conscientiousness and a commitment to serving authentic, real Mexican food. The restaurant's vibe is one that encourages the appreciation and enjoyment of food, art, and conversation. Black Rooster artfully merges the quick pace of fast casual joints with the quality that encourages one to stop and savor meals. While the menu is not marked to indicate gluten-free items, the cashier informed me that 95% of the menu is gluten-free. Corn tortillas are made in-house, and the staff were knowledgeable about accommodating my gluten and dairy-free needs. Do note that the fryer used for chips is shared with the fish (whose batter contains gluten), so it is not celiac-safe, but for the most part the menu is accommodating. To see the menu, click here. 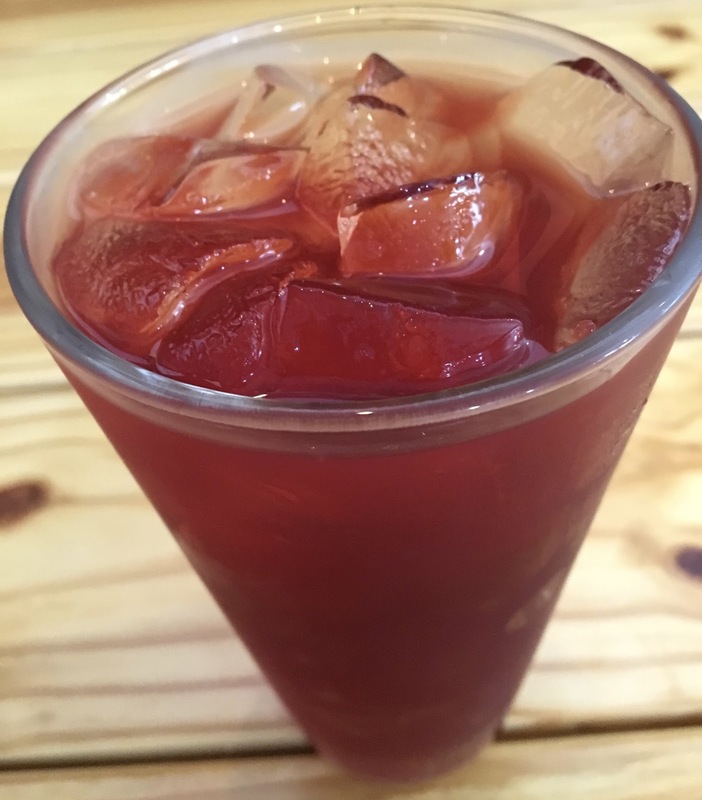 I started my meal with the hibiscus black tea, which achieved the perfect tart sweetness I adore in any hibiscus beverage. As a starter, I ordered guacamole, which is made to order and super chunky, which totally floated my boat. The guac is creamy and flavorful, clearly fresh and made with care. 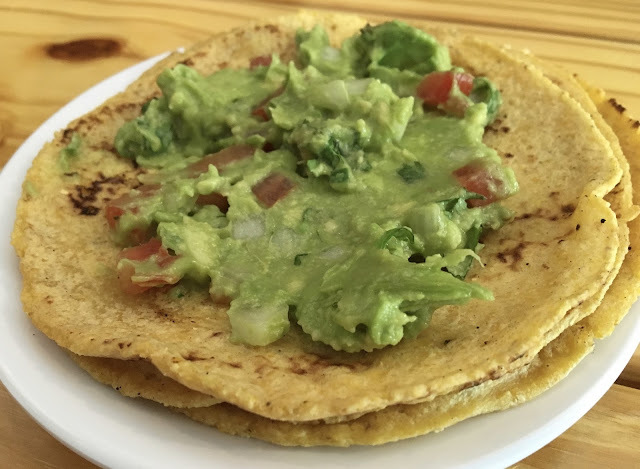 Because I could not eat the chips, the staff provided me a short stack of tortillas to eat with the guac, which I appreciated, and loved rolling them into guac taquitos. Although I was bummed I could not eat the chips, the tortillas had wonderful flavor and were really pliable, which made them a treat in it of themselves. For my meal I ordered two chicken tacos, as tacos are sold as singles. It's recommended to order 2-3 per person, and I found that two definitely was a perfect amount- especially with the guacamole starter. An ample serving of tender, spicy chicken filled each taco, with lettuce, radish, and a squeeze of lime providing textural and flavorful support. Despite the abundance of filling, the tortillas proved capable of handling the meat and veggies without tearing or breaking. I added a dollop of guac to each taco which took them to a whole new level. I've had many a great taco in my lifetime, but these definitely are the real deal. I've become a partial taco snob, but these passed my texture, taste, and performance test with flying colors. Overall, I was really impressed with Black Rooster Taqueria. While prices are a bit high, the food is top notch and worth every penny. By keeping their menu simple, they ensure their dishes are executed expertly, and I left both satisfied and full. Black Rooster definitely earned my regard as the best taqueria in Orlando, and I am already anticipating future visits whenever I swing through town. My only recommendation for them is to make their menu more decipherable for gluten-free eaters, given that most fare is safe for us to enjoy.